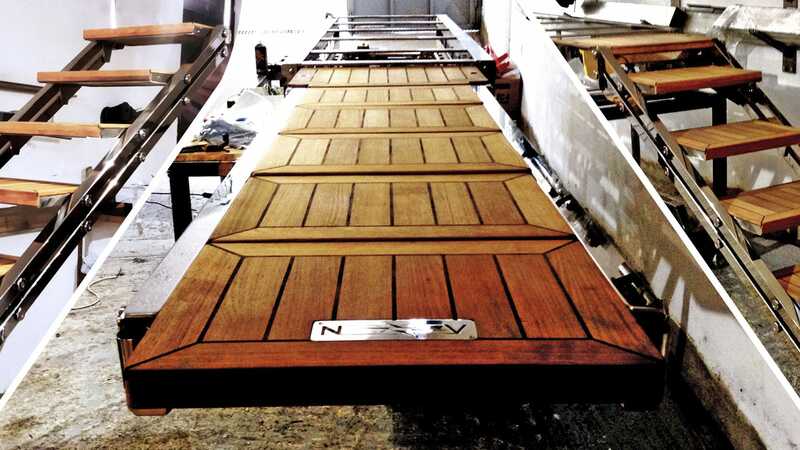 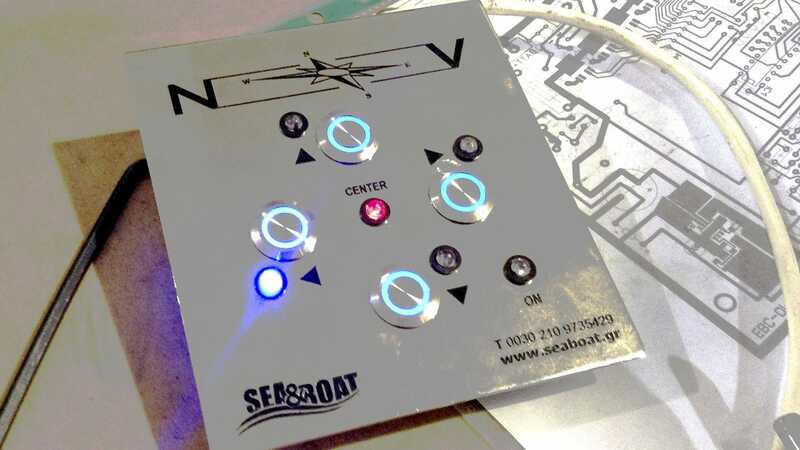 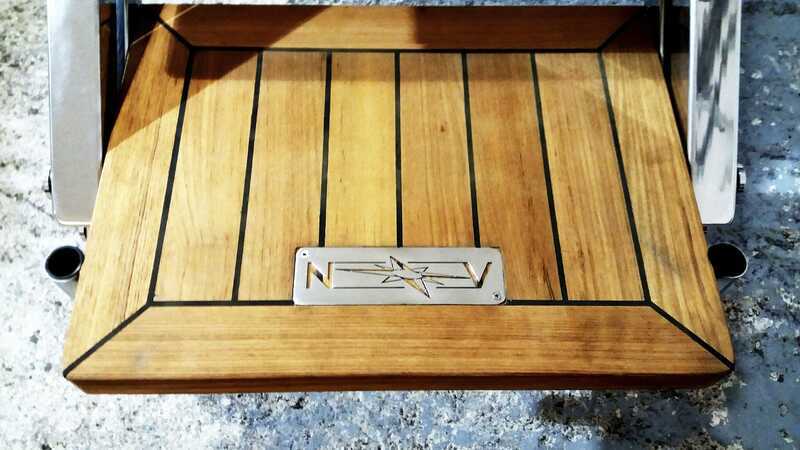 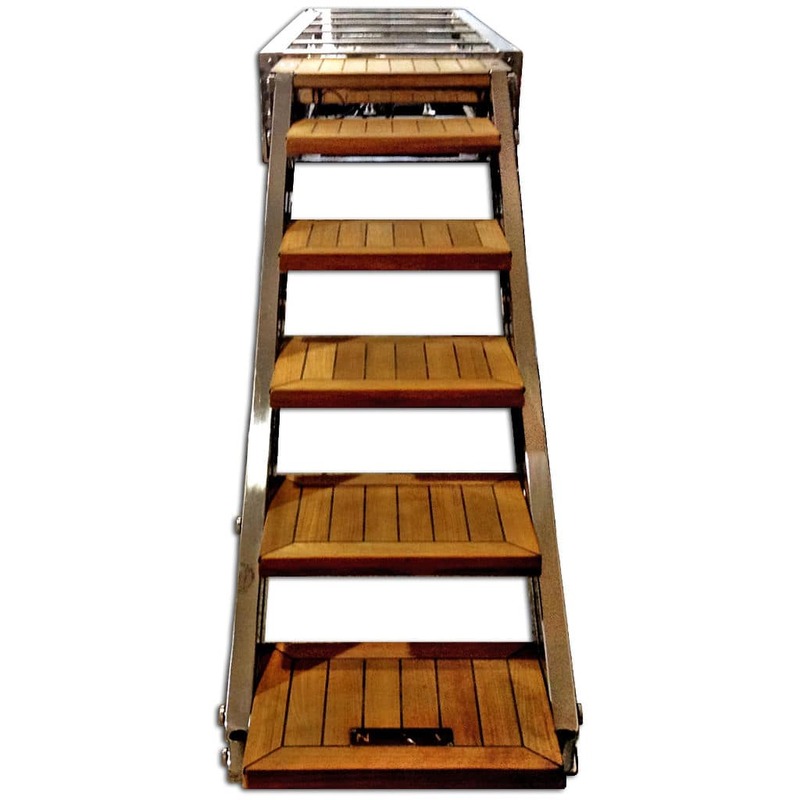 Fully automatic hydraulically operated retractable stern boarding gangway-ladder made of mirror-like stainless steel with auto-aligning teak steps. It can be inclined up to 55° both upwards and downwards. 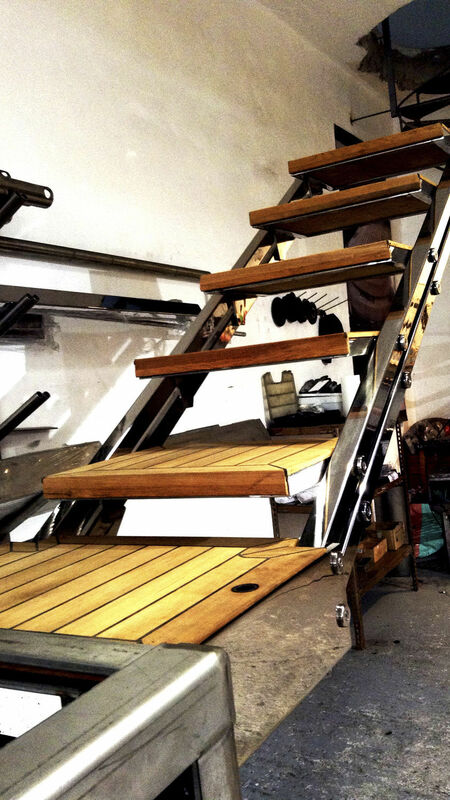 The ladder can be used as a gangway when it remains in horizontal position (angle 0°), as a swimming ladder when inclined downwards and as a boarding ladder when inclined upwards.